Throughout our history, there have been countless beauty trends. Just these couple last years gave us the squiggle brow, glittery butts, fur nails, faux freckles, and unicorn everything. If you'd wish to dig deeper in the older days, you'd find such trends as dyeing tour teeth black a la Japanese, eating absolutely deathly arsenic for skin whitening, and removing the eyelashes in Middle ages just to name a few. But what about keeping it au naturel ? Alongside the over-the-top makeup trends goes the liberating natural beauty trend. And believe it or not, hairy women, or hairy armpits to be exact, is the new it. 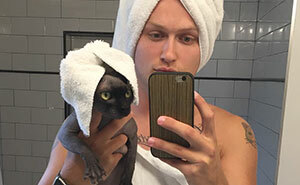 Many Instagram influencers have posted pictures, proudly showing their ungroomed armpit hair. Some of them have even begun dying their armpit hair, receiving plenty of praise and criticism for inventing new beauty standards in the process. 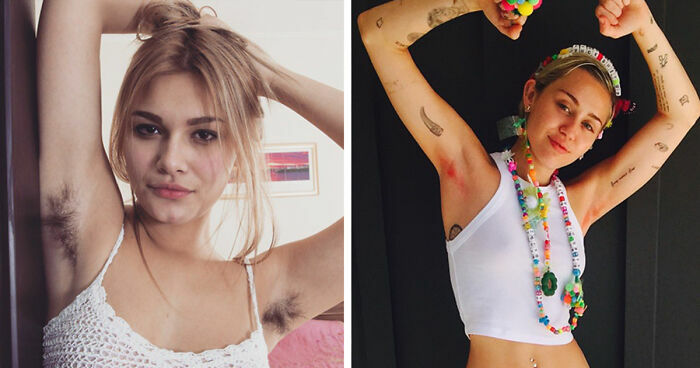 Girls with hairy armpits declare this trend as a form of feminism, because why should you shave for somebody else? For some women, cultivating body hair is a way to protest the beauty and maintenance standards placed upon them by society. Indeed, even photographers like Ben Hopper have used armpit-haired models to communicate this message. Before 1915 and the advent of women's shaving marketing campaigns, even pinups often sported all of their body hair and women with hairy armpits were absolute norm. As they say, there are no friends in taste! I like it. Is there an app? I have no problem with armpit hair. BUT. I hate it when they let their facial hair go , like eyebrows and their 5 o'clock shadow. It would not stop me from loving a person. 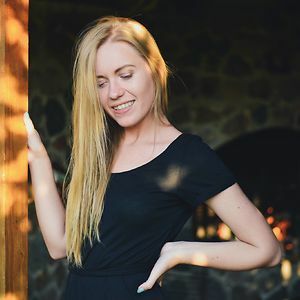 For anyone who has felt the need to not only go through this article (revealing at least an iota of interest), but to then post in a negative and derogatory manner, you are the societal ill that has perpetuated artificial beauty and cultural standards over the last century; your offense only proves there is a pervasive attitude that needs to shift. She does wax her brows tho, so what's the point! Finally, natural gets back! Good, I love this! okay now the new trend is to color your armpit hair.. right..?? They have to put up with men's hairy pits, why can't we? Hairy armpits does not mean they don't shower. is she trying to be indian????? She has not dyed her armpit hair, just her armpits. This is trend really awesome! However I think it is irrelevant wether it's a woman or a man who's showing armpit hair. It's a real society fail when something what's naturally on everyone's body is called disgusting. Armpit (also pubic) hair is natural part of skin flora. It's still being explored but there is scientificla proof that most of our "unwanted" hair has impact on our imune system as they catch microbes and don't let them cause skin diseases and reach blood. I love the natural girl/ woman with hairy armpits (and more). Big point || that seems to be missed ... from your hair growth you (we all) emit and collect our natural pheromones which smells (if you do not deodorize) ‘who you are’ and THIS IS WHAT ATTRACTS ME TO YOU (the female).. I don’t want you to cover up. I WANT to smell the beast in you - HUGE TURN ON!!!!!! Some employers require you to, but if they do you yell at them to stop oppressing you or you're going to sue for gender discrimination. After all, if women in the workplace can go around showing off their scraggly armpit hair in sleeveless dresses or grow out a thick beard, why shouldn't men be allowed to let the hair on their face grow naturally at the office? For that matter, why do men have to wear stuffy two or three-piece suits and sweat profusely while women don't have to wear a wool jacket on top of a dress shirt and undershirt.